With more than 25 years of experience in the construction industry, Kevin Stallings, President of D&B Building (dba Dreams & Design Building) has a philosophy which shows in every home he builds -- Build a quality product and the customers will come. “I strongly believe in building with high-quality materials and knowledgeable craftsman. We go above and beyond the basic building practices to ensure that our homebuyers get the homes of their dreams,” explains Stallings. A strong advocate of energy-efficiency, Dreams & Design Building has been recognized by EnergyStar.gov as the #1 builder of single family Energy Star Certified 3.0 homes in the Kansas City market. This recognition is a direct result of Stallings’ dedication to constructing homes that exceed the industry efficiency standards in every way. The number of Energy Star 3.0 Certified homes Stallings has built is currently 79 and counting. 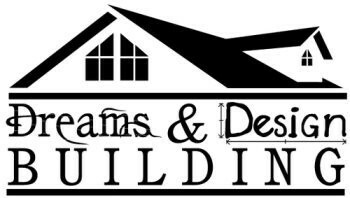 With building licenses in Missouri and Kansas, Dreams and Designs Building is current building in Stone Canyon, (Blue Springs Missouri) Cottonwood Canyon, (Lenexa, Kansas) Red Fox Run, (Overland Park, Kansas) Monticello, (Lee’s Summit, Missouri) Greens at Chapel Creek, (Shawnee, Kansas) Falcon Lakes, (Basehor, Kansas) and acreage throughout the Greater Kansas City Metropolitan Area. Since a new home is one of life’s biggest investments and must provide for your needs for years to come, Stallings believes every homeowner should be involved in the creative process of designing and building their homes. Ultimately it’s about the relationship you develop with your builder. As Stallings says, “Some can design but not build, while others can build but not design—we do it all”. Kevin Stallings, a CGP (Certified Green Professional), has achieved a remarkable level of success during his more then 25 years of building award-winning homes. His longevity has resulted in many valuable lessons learned. Perhaps the most important of these lessons is to be versatile. He is able to conform his building techniques to fit what the customer need. . His “customer satisfaction focused” approach, along with an acute sense of detail, has resulted in some of the most beautifully crafted, energy efficient, custom designed and structurally sound homes in the area. The company’s design-build approach allows them to combine construction knowledge with luxury architectural and interior finishes while maximizing the attributes of the home sites and surroundings. "We have been in our home since January of 2012 and we love every moment in it. Our experience with Kevin Stallings and his sub-contractors surpassed our expectations. Coming from a family of construction and sub-contractors we are very particular to details and Kevin, along with his crews, helped us make the developing of our home a pleasurable experience. We never felt pressured or confused about any of the details or costs through the process. Kevin was fantastic at keeping us and the sub-contractors on schedule. He is particular to details as well and voices his opinion but always listened to our as well to make the best possible choice.